The largest sale announced in 2015 was the 139 metre Project Redwood, a new build at Germany’s Lurssen yard sold by Moran Yacht & Ship. 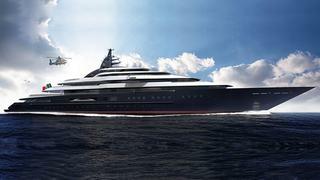 To be designed by the team of Nuvolari Lenard, details are under wraps for the present but it is known that she will have 20 cabins for 36 guests and is due to be delivered in 2019. 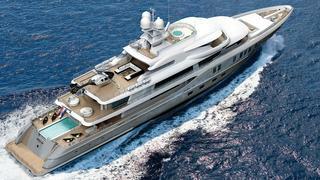 A second yacht in the Amels 74 metre 242 Limited Edition range was sold by Antoine Larricq at Fraser Yachts this year. Designed by Tim Heywood, she will have a Winch Design interior. Designed for long range cruising ability, delivery will take place in Spring 2017. Stella Maris, the 72 metre motor yacht built by Italy’s VSY yard to a design by Espen Oeino and delivered to her owner in 2015, was the largest yacht sold during 2015. Accommodation areas are vast and she sleeps up to 14 guests with ease. 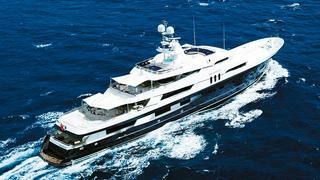 Listed for sale by Burgess, the buyer was represented by SuperYachtsMonaco and the asking price was €75 million. The week before Christmas saw the 70 metre motor yacht Amadeus sold with Yachtzoo finding the buyer for this central listing by Cecil Wright & Partners. Designed by Reymond Langton, Amadeus was converted from a research vessel by German yard Amadeus Yachts and delivered in 2007, accommodating 12 guests in six cabins including a master suite occupying the entire upper deck. 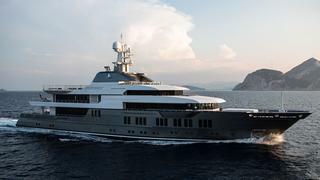 Northrop & Johnson brokers Kevin Merrigan and Wes Sanford worked together to sign the contract for a new build 66 metre motor yacht project at Dutch yard Feadship. Naval architecture will be by De Voogt while exterior styling and interior design will come from the Eidsgaard Design team. Italian yard Codecasa built the 65 metre motor yacht Lady Lau (now Double Down) to Lloyds class and MCA code with delivery in 2010. Accommodating 18 guests in nine cabins, she was jointly listed for sale by Worth Avenue Yachts and Merle Wood & Associates asking €39.5 million. 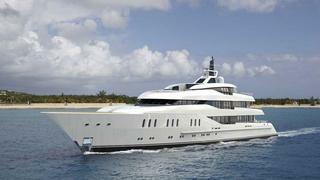 Worth Avenue Yachts introduced the buyer. 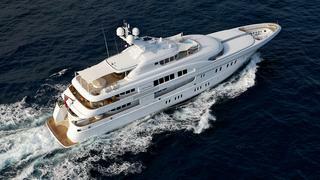 Worth Avenue Yachts and Macgregor Yachts joined forces to find a buyer for Benetti’s 62 metre motor yacht Bistango. 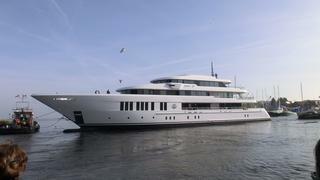 Delivered by the Italian yard in 2010, she is MCA compliant and accommodates 12 guests in six luxurious suites. She's since been renamed Mine Games. 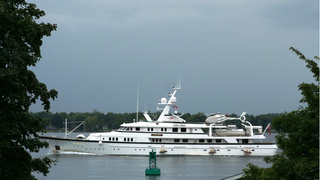 The 61.26 metre motor yacht Aurora was built by German yard Lürssen with exterior and interior styling by Winch Design, and delivered in 2004 with a refit in 2010. 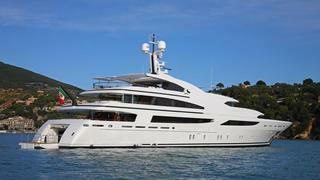 Moran Yacht & Ship were marketing her for sale at €49,750,000 and a buyer was found by Northrop & Johnson. The 61 metre motor yacht Golden Age was sold while still under construction at Dutch yard Hakvoort with the buyer represented by Moran Yacht & Ship. 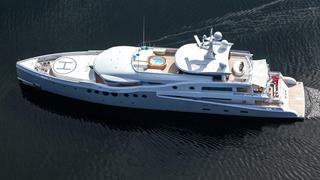 She features a private owner’s deck along with a further six guests suites on the main deck, all with marvellous views. In November 2015 she was launched and christened Just J's. 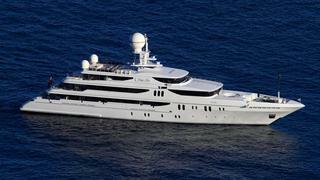 Coming in at 60.3 metres, Arteti was built in aluminium by US yard Trinity Yachts and, at the time of her delivery in 2012, was the largest yacht from this yard. 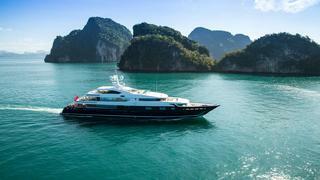 She accommodates 12 guests in six luxurious cabins and was sold by Burgess and renamed Mia Elise. Her asking price was $45 million. 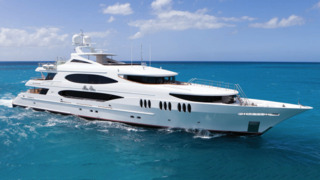 Benetti’s 60 metre motor yacht St David, delivered in 2008, was sold with Debbie Beere at Dbeere yachts representing the seller and West Nautical acting for the buyer. MCA compliant, her gorgeous interior sleeps 12 guests in six impressive cabins including a split level master suite. The asking price was €27.5 million. Delivered by French yard CMN in 2009, the 60 metre motor yacht Cloud 9 was built in steel and aluminium with styling by Winch Designs. She accommodates up to 14 guests in seven cabins and was sold by Burgess acting for the buyer and seller, asking €34.9 million. 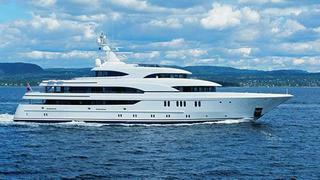 Built in steel and aluminium by German yard Lürssen, the 60 metre motor yacht Arkley was delivered in 2009 and went on to win Yacht of the Year at the 2010 World Superyacht Awards. 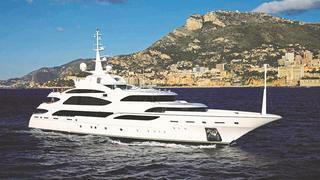 Listed for sale by Imperial Yachts, Arkley was sold in November with Burgess representing the buyer. The 60 metre motor yacht Event was delivered in 2013 by Dutch yard Amels as the first in the yard’s Limited Edition 199 series and accommodates 12 guests in six generous cabins. Imperial Yachts had her listed for sale and Burgess introduced the buyer.